A family came to us and said they were looking for a table with lots of character and they weren’t opposed to holes and wild defects. 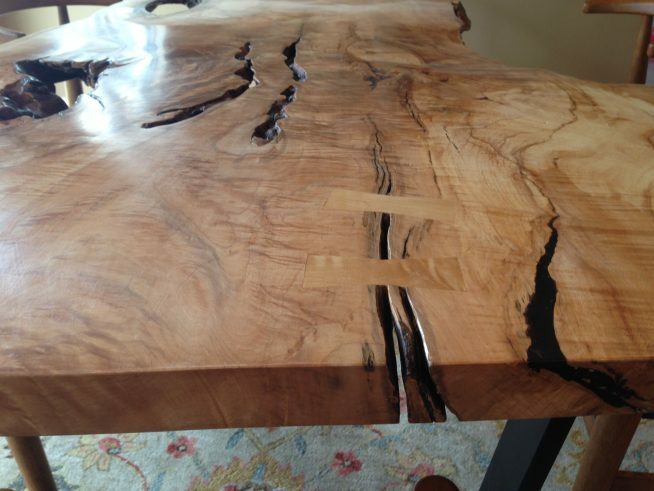 We showed them the maple slab you see below and they loved it. 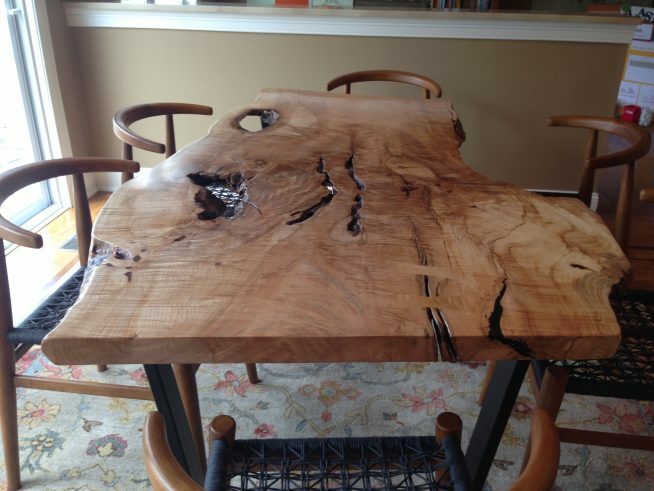 But what sold them on the piece was that both their parents had grown up in Bridgeport, where this maple came down. It came from the entrance to Beardsley park—another terrific Olmsted designed park.